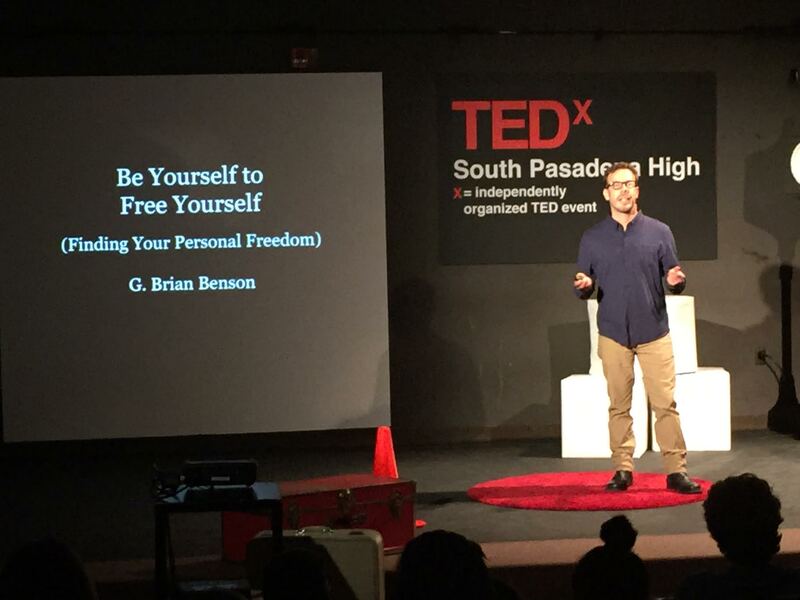 Today we’d like to introduce you to G. Brian Benson. Sure thing! Ten years ago I was running my family business. I had been running this business, which was a successful golf center, for 11 years. We had a driving range, a 9-hole golf course and a retail golf store in Salem, Oregon called Cottonwood Lakes. But I was really unhappy. I know a lot of people would give their “left arm” to have that job, but I didn’t feel like I was being my true authentic self and that bothered me. Up to that point in my life, I had accomplished some really nice things. I rode my bicycle across the United States, finished over 50 triathlons (including 4 Ironman races), had a wonderful son and was running a profitable business; so a part of me felt like I had a good understanding of personal success and what that meant and felt like. But I wasn’t feeling that way at my job or in my life anymore. I felt like I had this giant gift inside of me that wanted to come out, but I didn’t know what it was; I just knew that it needed to be released. So, with a slightly confused heart, I left the golf center and my family’s business. I had no idea what I was going to do with my life after leaving, but I trusted my decision. During the course of leaving my family business, I was stuck in a kind of limbo for a year. In my heart, I was ready to hit the road and begin my new life, but I had to stay around and continue to operate it while we went through the process of finding a buyer because of the decision to sell. I began to feel really out of balance and I didn’t like that feeling. I wanted to figure out why I was feeling out of balance. The answer was pretty simple. I was in a job that no longer fulfilled me and I felt that I wasn’t growing anymore. Well, I knew that there wasn’t much I could do about this until we sold the business, so I had to make the best of the situation. I then decided to try to figure out how to bring some balance into my life. What I did was simple. I just sat down and wrote five things on a piece of paper that I felt might help keep me balanced and centered and then stuck it in my wallet. From that day forward every time I began to feel out of balance or out of the center, I would refer to my list and make sure that I was following its suggestions. One – Make sure I was drinking enough water daily. Two – Make sure that I was getting some daily exercise. Three – Make sure that I was getting enough sleep each night. Four – Allow myself some daily alone time so that I could re-energize my system. Five – Allow some time each day to be creative. At that time in my life, it was from playing the guitar. This helped me out so much that I intuitively thought hey, why don’t I expand the list and make it into a book to help others in the same way that I helped myself. So I then sat down and the book poured through me in about a month. It was called “Brian’s List! – 26 ½ Easy to Use Ideas on How to Live a Fun, Balanced, Healthy Life!” And from there things got really interesting. It hasn’t been an easy path but a bit of a rollercoaster ride consisting of following and trusting my intuition, newfound confidence from the creative gifts I found and the struggle of hard-learned lessons. But it has all been incredibly worth it. After I left my family business and began to follow my intuition all kinds of creative opportunities and gifts started showing up that I didn’t know was inside of me. But I had to step out of my comfort zone repeatedly to bring them out. 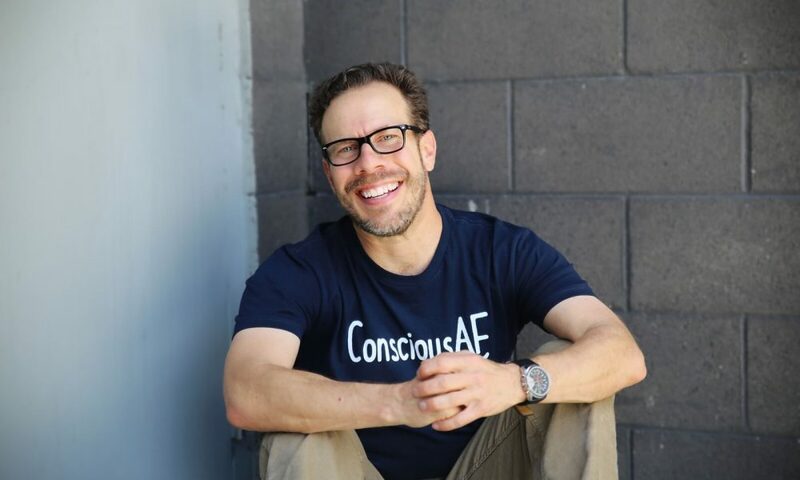 After writing my first book back “Brian’s List” in 2009, my intuition was telling me that I would need to learn how to be more comfortable in front of people, especially if I was wanting to share and market my book. The proposition of giving a speech or talking to a group terrified me but I honored what it was telling me and knew what I had to do. Over the course of a couple years, I really dove in and began the process of learning how to be a more comfortable speaker and quell my anxiety. I started off by taking a couple of community college speech classes, which was then followed by joining Toastmasters for about a year. I then hired someone to co-host my own Internet radio show, I took an acting class and I also created an “interactive workshop” that I could offer people that tied in with my book. I ended up calling it “An Introduction to Balance.” I basically had my intro memorized and then I would hand out worksheets to the participants and then we would discuss their answers as a group. I thought I was being really clever because it was a way for me to speak and be in front of others without having to talk the whole time! It turned out really well. So I kind of forced myself to do all of these “uncomfortable” tasks to make myself become a much more confident and comfortable speaker. Shortly after starting that acting class that I previously mentioned, I had an idea come to me in the form of a dream that was about a street guitarist… when I awoke, I immediately wrote it down and tried to make some sense of it. At the time I was a closet guitar player and I had never played in front of anyone before but I really loved to play the delta blues. I ended up giving a young filmmaker I had just met named Michael Sweeney a call and asked if he wanted to hear an idea I had about a potential short film. We met a few days later in person and he loved it! 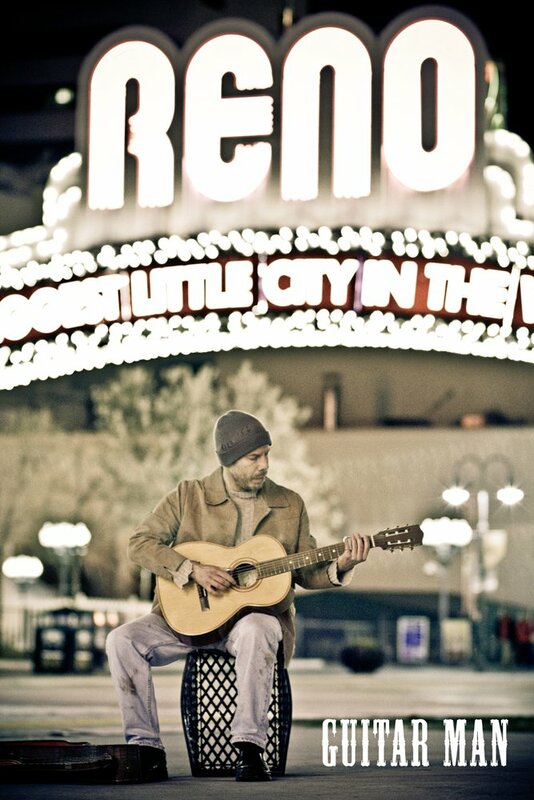 No more than a few weeks after that, we found ourselves on the streets of Reno, Nevada making a short film that I wrote and I acted in called Guitar Man. I didn’t really know what I was doing… I just knew that I wanted to do it…I had a vision. And with Michael’s help, we made it happen! It was a very empowering experience for me… I mean I felt totally alive! I had never acted before and I certainly had never played guitar in front of anyone and there I was doing it on film. Guitar Man ended up getting accepted to 11 film festivals, but more importantly, it opened another door for me. And after that I was offered other roles and moved to Los Angeles. And as I did all of these things that were part of my own self-growth process I began to come into contact with a lot of hidden gifts which I then expressed in many different ways. So it was really exciting and scary all at the same time. I knew in my heart that this was my path. Around this time my mother reminded me that I told her back when I was 3 years old that “I was put here to inspire people.” And it’s really interesting to see that as I create positive content in so many different forms (children’s books, short films, videos, self-improvement books, spoken word pieces and speaking presentations that I kind of knew my life’s mission way back when I was a child. I definitely learned a lot of hard lessons along the way. The times that I gave my power away to others instead of trusting my own intuition for example. It’s so important that we stay the course and hold tight to what our hunches and gut tells us. Since I kind of knew where I was headed and what I wanted to do… I would get impatient at times and it seemed like every time I released a new book or film project, I would ask myself “is this going to be the thing that finally springs me.” And time and time again I was let down because my expectations got the best of me. I found that I became quite unhappy. I wasn’t enjoying the journey of creating just for the sake of creating and trusting that each project would become what it was supposed to. Because I held such high expectations of what they might do for me, it almost leads me to stop and quit. And it’s not like things weren’t doing well. Some of my books and films won awards as well as reached best-seller status, so I was putting out good stuff. Looking back I just wasn’t ready. I still need to solidify my foundation. Since then (and I know it sounds cliche), I have really tried to just enjoy the journey and the joy I take in bringing something to life. I have also learned that there is no such thing as overnight success and I am so thankful that it didn’t happen to me. I am now truly grounded and ready and I needed to go through every experience that I did to be in this place. I am truly blessed in so many different ways and looking back at the twists and turns … the key for me was continuing to step out of my comfort zone. One thing definitely leads to another and each project/creation built upon the other one which continues to open doors and lead to opportunities. I gained such an education just putting one foot in front of the other and not quitting. I love Steve Martin’s quote, “Be so good they can’t ignore you.” For me it was just a matter of continuing to show up, continuing to listen to my intuition and create and then bigger opportunities started happening. 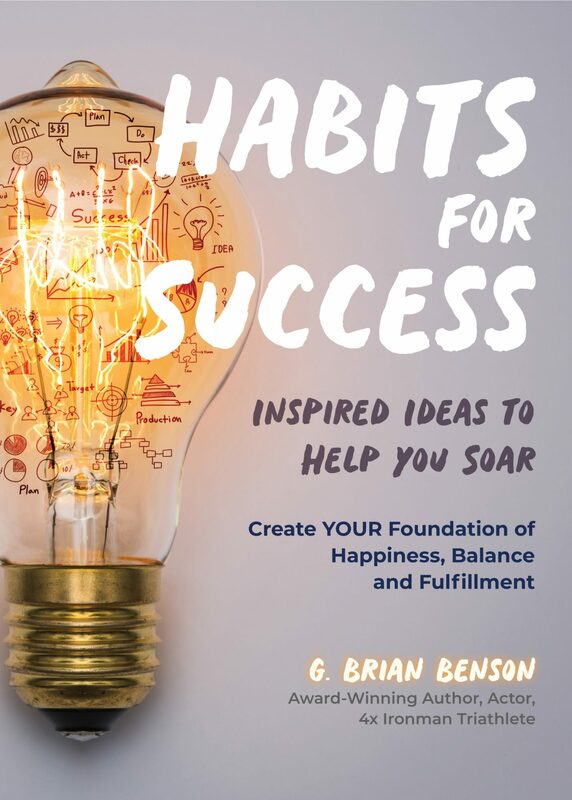 I am really excited about a new book I have coming out this November called “Habits for Success – Inspired Ideas to Help You Soar which is with Mango Publishing. It’s a combination of information, inspiration and a unique look at growth, self-awareness and success. I tried to share my own growth process, triumphs and hero’s journey of the last 10 years to entertain and inspire the reader to guide them to their own personal version of success and happiness while helping give them permission to take their own journey and to build a foundation of strength for the long run. 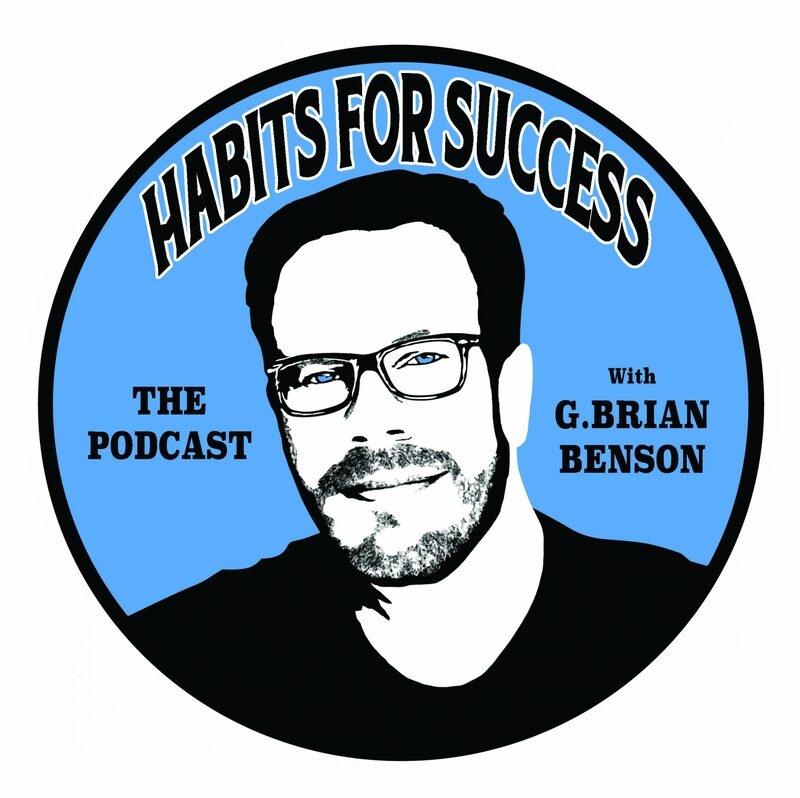 Brian Benson – what should we know? What do you guys do best? What sets you apart from the competition? Things continue to evolve for me, but at the moment as I am getting ready for the new book release this winter, I am also coaching, acting, marketing my other books (children’s and self-improvement), co-hosting an internet radio show called “Let’s Get Real!” on 12radio.com, preparing to start a podcast called “Habits for Success” to tie in with my new book, speaking and creating new content (videos/blogs). I truly love to create positive media in all kinds of different forms and share it with others. Everything that I have created has been an extension of my own growth process. I don’t ever tell anyone what to do, but I feel like I was put here to be a living example for others. By documenting my journey of stepping out of my comfort zone and trusting my intuition, it is my hope that others will learn how to become more self-aware and journey toward their own version of success and fulfillment because I truly believe that it exists in all of us. We just need to allow ourselves to venture out into the unknown a bit and let it show itself. That is where the gold is. I have a lot of proud moments. I can think of 3 so far. 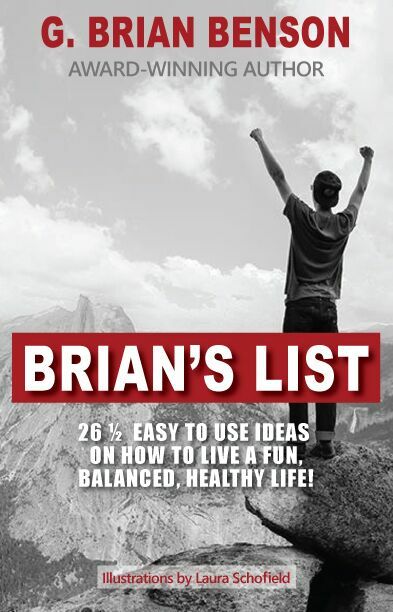 When I self-published my first book “Brian’s List! – 26 ½ Easy to Use Ideas on How to Live a Fun, Balanced, Healthy Life!” that really got me going on this incredible journey that I have been on for the last 10 years. 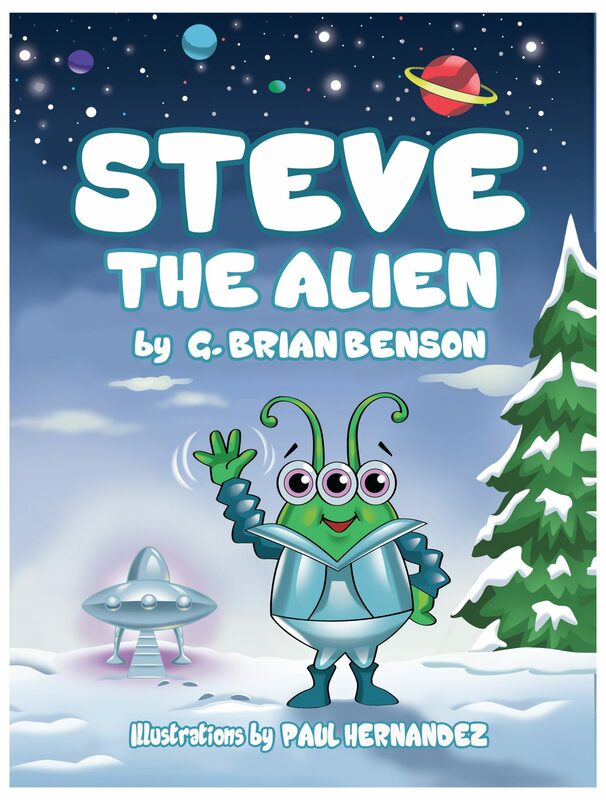 When I published my first children’s book “Steve the Alien” back in 2016. 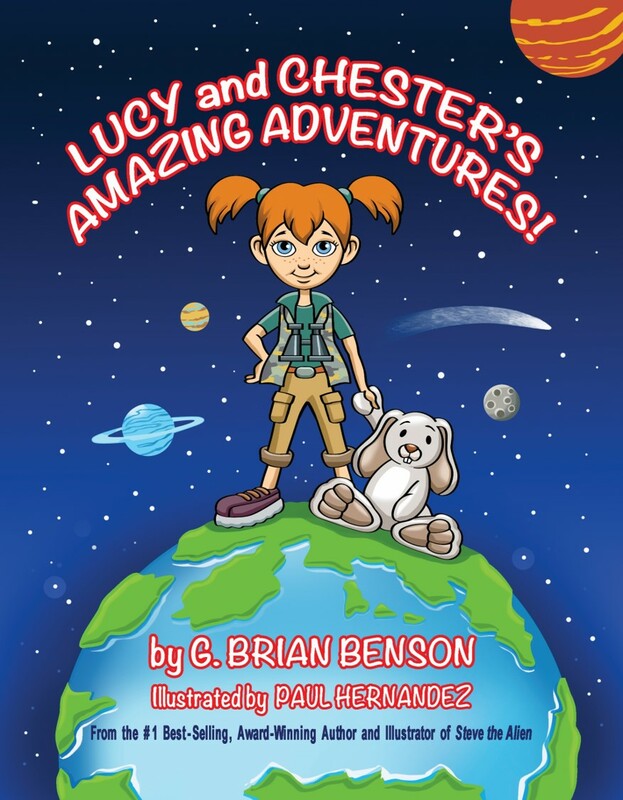 I worked really hard on that and to see that rhyming children’s story that I wrote many years before come to life was really special. I started writing that in 2004 and got stuck with how to finish it. I picked it back up in 2007 and finished it. I signed a contract a couple years later with a company that made children’s picture book apps and the work was looking amazing until they ran out of money. I was then released out of my contract a few years after that in 2011 and then took the bull by the horns on my own in 2015 and brought it to life with the talented artist Paul Hernandez. I feel like I am living my authentic life now. 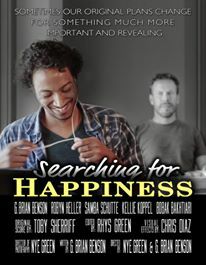 I have found happiness and fulfillment in writing, creating, speaking, producing and acting. I am accomplishing things that I never would have thought or dreamed possible. It wasn’t until I left my job that I really began to see how alive I could feel, simply by being myself and following my heart.